If you’re going to take Acura maintenance and auto repairs into your own hands, make sure you use quality parts that you can trust to last. To make it easy, Weir Canyon Acura, serving Costa Mesa, Riverside and Mission Viejo, has a generous stock of all the manufacturer recommended parts you might need to maintain and repair your Acura. And, if for some reason we don’t have the part you need on hand, we’re happy to order it. 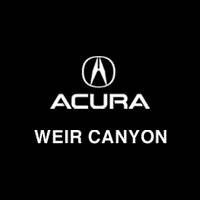 Remember, Weir Canyon Acura, located in Anaheim, CA is committed to your satisfaction. Couple your mechanical and auto repair skills with our manufacturer-recommended parts and you’re certain to keep your vehicle running at optimum performance. What Happens After I Order a Part? If you know the name or inventory number of your part, please use our online form to place an order. Otherwise, feel free to call us and a Parts Department specialist will determine exactly what you need.